We have all been affected by cancer in one way or another, right? That's why it's so important to do what we can to find a cure, even if it means simply participating in something that will spread the word and make people aware of the cause. That's exactly what we've done for #SundaySupper this week. The theme is #BakeForACure and I've gotta be honest- baking is not my thing. I've heard that you either love to cook or you love to bake, or that you are typically only really good at one or the other. I want to love and be great at both! This is why I'm excited to see all of the wonderful recipes that everyone is cooking up. Practice makes perfect, right? I'm hoping to try a number of the recipes and bring the love of baking to my home. Since my baking skills are lacking, I had to have an easy item to prepare. Also, I couldn't come up with an original recipe, that is how little I'm used to baking. Instead, I looked to the side of the package of a food item that I received from a friend: Bob's Red Mill Whole Grain 10 Grain Hot Cereal. This cereal is made with high protein hard red wheat, rye, triticale, oat bran, oats, corn, barley, soy beans, brown rice, millet, and flaxseed. My foodie friend recommended the muffins as a quick grab and go breakfast, but admittedly, I was wary because, well, the word 'grain' isn't the most appealing when referring to a baked item. Then I thought, 'it seems healthy and if I don't at least try, this grain will just sit in my pantry forever'. 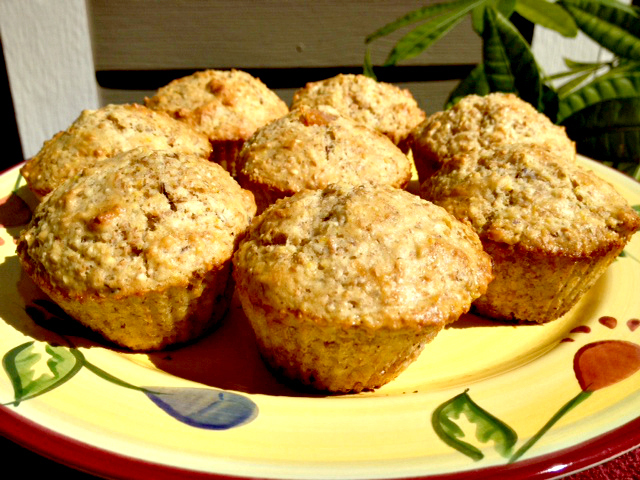 The muffins are so simple to make and made the kitchen smell so good! With a total cook time of 30 minutes (15 for the preparation, including 10 minutes to let the mixture to stand, and 15 minutes for the baking itself), these muffins are my new favorite item. Something you should know about me if that I love cornbread. These muffins had a very, very strikingly similar taste to cornbread and to say I was pleased would be an understatement. Try these out! Mix Bob's Red Mill 10 Grain Cereal and milk; allow to stand for 10 minutes while preheating oven to 400 degrees F and assembling other ingredients. Cream sugar, butter, and egg together. Add dry ingredients (flour, baking powder, baking soda, salt), apricots, and milk mixture to sugar mixture. Stir only until mixed. Spoon into greased muffin pan. Bake at 400 degrees F for 15 minutes. This week, #SundaySupper bloggers are honored to be able to work with Chantal Cookware. Chantal Cookware has provided their Easy as Pie dish to 20 selected bloggers so you can check out their recipes below! Now, this is only my second time participating in #SundaySupper, but I've noticed the great community that it is. Even though not everyone was able to get the Chantal pie dish, there were still a number of us who created dishes for our readers so we can support the cause and promote Chantal Cookware. Check out these additional recipes! Chantal Cookware is also offering 20% off of all Chantal Pie dishes on their website. Enter BAKE4CURE at checkout through October 30th! I love grains and whole grain in baked goods. I could eat these muffins any day and at any time. The addition of apricots is wonderful and I could see slicing these muffins in half and spreading a little butter and apricot jam on them too. Delish! 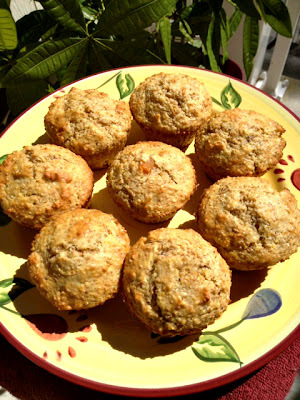 I love cornbread too and I'm sure I'd love these muffins. Must try! 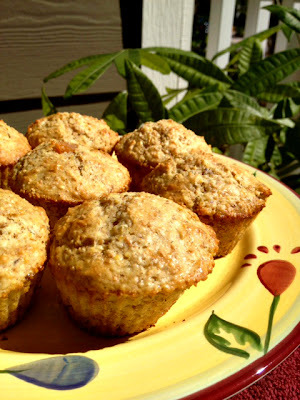 Love these muffins, that Bob's Red Mill 10 grain cereal is amazing. I am so impressed you used it for muffins. Very healthful Jennifer, thanks for posting it! 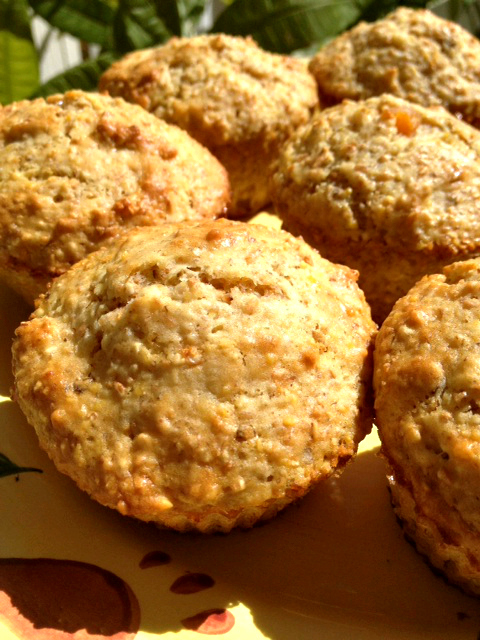 A great breakfast and love that you added apricots! Wonderful muffins! These look healthy yet yummy in my tummy!! Love having whole grains, just makes me feel better! I'm going to try these! Perfect recipe to get whole grain into our diets! Oh, I love healthy baked goods! And your addition of apricots makes them even better. It looks like you're a darned good baker! Happy #SundaySupper! Thats my kind of muffin! Mmm...I love cornbread too so if this is similar, I'm totally sold. And you're right - practice makes perfect so keep on baking! For someone who claims that baking's not her thing, you made some beautiful muffins. What a wonderful muffin recipe. I bookmarked it for later. Wow! Those definitely pack a grain-filled punch! I bet they would really fill you up too! I'm with Renee! I would eat these at any time of day and one of my favs is apricots! Double YUM! These look great, and with dried apricots too, that's delicious!